Review: Runner Runner / It's Just Movies Review: "Runner Runner"
Brad Furman’s “Runner Runner” is an exaggerated film that seeks to expose the seedy world of online gambling. Online gambling brings in a lot of revenue for owners, but can you really trust them? 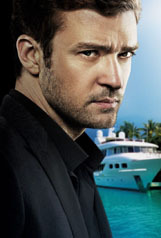 Richie Furst (played by Justin Timberlake) learns the hard way how easy it is to get scammed online when he gets cheated out of all his college tuition money. 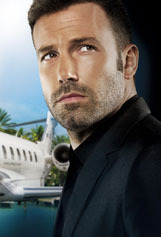 With no money left, decides to travel to Costa Rica to confront owner Ivan Block (played by Ben Affleck) with hopes of getting his money back. In Costa Rica, Block sees Richie as an easy target and offers him a job, promising six figures and hot women. Is Ivan really a businessman or is this all one big scam? That is the primary question Richie has to figure out while FBI agent Shavers (Anthony Mackie) looks to expose Block’s scheme. Despite the interesting plot this movie is a head-scratcher because things just do not come together well enough to make it work. Justin Timberlake is a great all-around talent, but he is just not a good enough to have a leading role in a movie like this. I felt he was out of place in this role and I was just waiting for him to bust out singing “Mirrors.” But what bothered me more than Timberlake’s role was the forced romance with Block’s assistant, Rebecca (Gemma Arterton). When we first see Rebecca, she seems like a woman who is hard to impress – but then she sees Richie and there is an instant attraction. However, “Runner Runner” further proves that not every movie needs to have a romance between two characters. The shining light of this movie was Ben Affleck, who — in case you did not know — will be the next Batman. I think Affleck has the ability to play a great Batman, and his role in “Runner Runner” certainly helped to make his case. Affleck brought some Bruce Wayne-type swagger to Block. Affleck was effective in making us like him in the beginning and still liking him at the end of the film. “Runner Runner” is going to have a tough time at the movies this weekend because it is facing off against “Gravity” and Parkland. Unfortunately, I ultimately cannot recommend this movie. Instead, try picking up Timberlake’s latest album to see where his talents really lay.